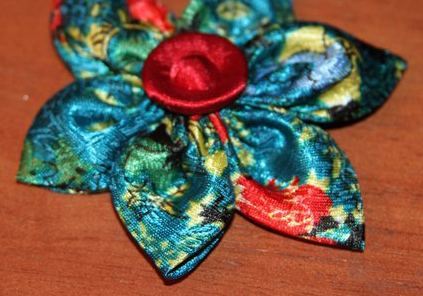 Today, I am giving you a tutorial on how to make one of the types of fabric flowers I have been making recently. We will start with the pointy petaled flowers, because this is the first kind that I made. They’re easy… I promise!